The American Health Council welcomes Brooke Ingram, BSN, RN to its Nursing Board for her dedication to improve others’ lives. Currently serving as a staff nurse at the Wake Forest Baptist Hospital in Winston Salem, N.C. — a position she has held for seven years — Ms. Ingram provides exemplary care to her patients each day. Since entering the healthcare field seven years ago, she has expanded her pediatrics knowledge to ensure that each patient she cares for receives high-quality support. As a child, Ms. Ingram always watched her mother head to work as a nurse. After frequently hearing stories from her mother, and seeing how rewarding her job was, Ms. Ingram decided to pursue a career as a nurse herself to experience the same joys her mother felt. She enrolled at the University of North Carolina at Greensboro and earned a bachelor’s degree in nursing in 2010. 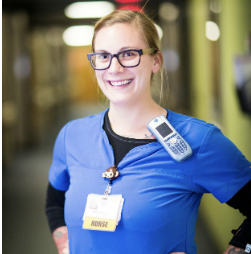 She quickly achieved her aspiration to help others when she accepted a staff nurse position at Wake Forest Baptist Hospital, where she works as a floor nurse, performs general pediatric functions and bedside nursing. Her fruitful career is a product of diligence, education, and passion. She is proud to have introduced alternative treatments to her patients at the facility, including holistic treatments like essential oils. 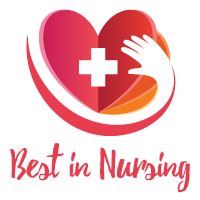 Her work ethic earned her a nomination on the Top 100 Nurses in North Carolina list in 2016, and she garnered the Nursing Excellence Award in 2015. She attributes her success to a solid foundation of mentors and her team at Wake Forest Baptist Hospital. In her free time, Ms. Ingram enjoys practicing a holistic lifestyle. She is dedicated to teach and practice yoga as she is a certified yoga nurse and instructor. She dedicates her time to helping others by donating profits from yoga classes to local animal shelters and the Ronald McDonald House. She plans to continue to maintain a successful career by possibly pursuing a master’s degree in nursing or obtaining a family nurse practitioner certification. Wake Forest Baptist Medical Center is a preeminent, internationally recognized academic medical center of the highest quality with balanced excellence in patient care, research and education. Wake Forest Baptist Medical Center’s mission is to improve the health of our region, state, and nation by generating and translating knowledge to prevent, diagnose and treat disease. Patient satisfaction is more than an optimal outcome of a procedure. It’s the full experience of how you were treated. The facility’s family of caregivers is focused on providing a culture of excellence for patients and their families.